Quite a few people asked me about the Mettler threads that McCalls sent me that I mentioned in my last post so I thought I’d show them to you as well as the colour chart. 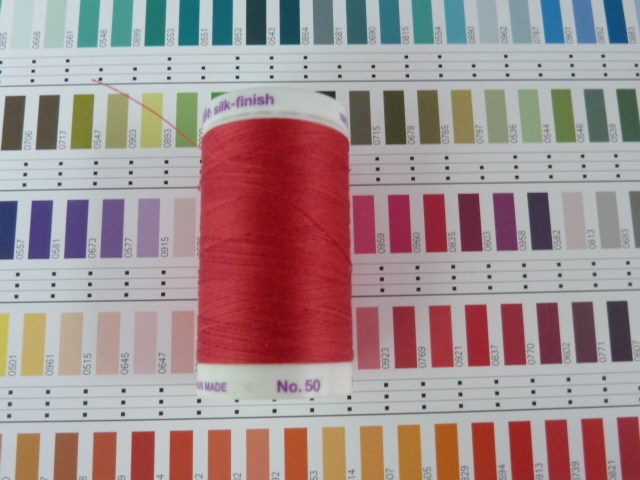 The first picture is of the Silk Finish 100% cotton 50wt thread. 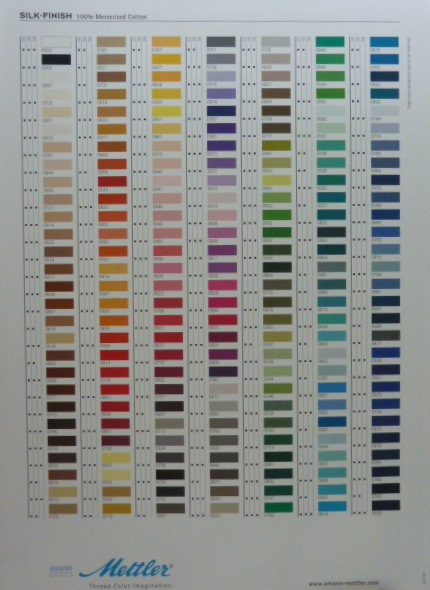 According to the back of the colour chart it does also come in 60wt which would be even nicer to use for appliqué. The specs sheet says that this thread is colour fast, has reduced shrinkage and is ironing resistant (not sure what the last bit means) and comes in heaps of beautiful colours. Take a look. When I spoke about the other two samples they sent me I made a mistake. One was a waxed hand quilting thread but I had thought the other was a polyester thread for some reason but it’s not. 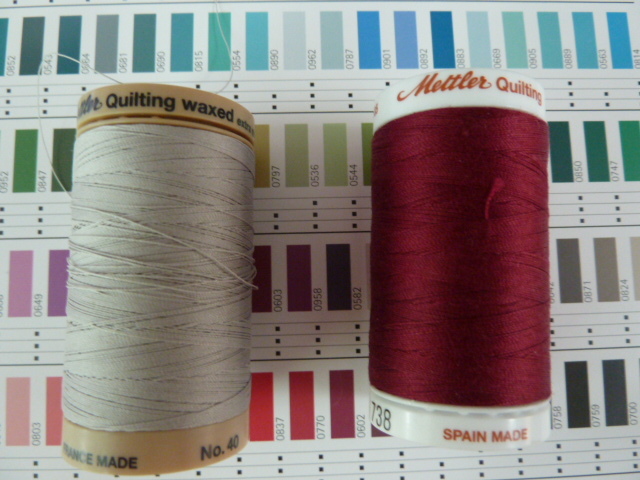 It’s a 40wt machine quilting thread – 100% cotton. It’s the maroon coloured one in the photo below. I haven’t tried that one yet. i hope this answers all the questions you had. That IS a heap of colors! Yummy. Of course I remember. That was such a lovely day. Thanks for the info Munaiba! I am thinking that maybe iron resistant means that it won’t stretch with ironning. I am thinking that the 100% silk thread does – of course, I now have a huge collection of the silk now and love the way it hides itself BUT I am concerned about it.